What Draws Us To Films About Mental Illness? There is, arguably, something at stake in a movie about mental illness that is hard to find elsewhere, something maybe best described as identity itself. Unlike a movie about other serious illnesses — cancer, say — a movie about mental illness transcends ordinary issues of health. It’s not just that a person with a mental illness is not well; they are not well in a way that may somehow alter who they are or seem to be. It is what we understand to be the very substance of a person at stake — their self, personality, consciousness. Without these qualities (or control over them), we must surely wonder, who does a person become? Where do they go? How do those around them respond? We’re curious. We can’t help but be. And so to be in a position to witness someone literally on the edge of their self (even fictionalized, as it were, on the big screen) — it’s a little like driving past a gruesome accident; you know the thing out there is perhaps awful or frightening, yet you have to look, because, well, you’re human, and you know that at any given moment in your life, there is not much separating you from that man trapped upside down on the outer belt, the Jaws of Life at work on his Explorer. There’s no getting around the fact that, in part because of these reasons, movies about the mentally and neurologically ill are a unique and engaging breed of film — there is something magnetic about the very subject matter. Nor is there any fitting this genre — a genre, indeed, if by no other credentials than sheer volume — into a neat box. There are all sorts of perspectives on mental illnesses out there, all sorts of ideas about what it’s like to be mentally ill, what it’s like to treat mental illness, and, of course, all sorts of mental and neurological conditions themselves. A list of films delving, in one way or another, into issues of mental and neurological illness piles up startlingly fast. A look at a few of recent history’s more notable films on mental illness reveals some interesting revelations about the genre as whole. The main message inherent in films about the mentally ill is, in fact, that people with mental illness are different from you and me — very different. They are, in a word, alien, perhaps even capable, like Dustin Hoffman’s character in “Rain Man,” of weird and extraordinary — even inhuman — accomplishments. They are sometimes portrayed as animal-like and — there’s no side-stepping the issue — they are violent. These are the implications. Not surprising information given our sordid and confused history of caring for and understanding the mentally ill.
We might, though, view Hollywood’s main impulse in making films about the mentally ill as an attempt to normalize those who are ill. It is in all fairness probably an impulse in us all, a hope that those afflicted might be made normal, might have the difficulty of their lives lessened. But, stepping back a bit — and if we’re really clear-headed about it — we might see the problem with this line of thinking. Consider a perhaps facile question (but an important one nonetheless): what exactly is normal? Where does it start and end? There seems little doubt that the mainstream of culture purports to know exactly what normal is. But frankly, the parameters of this normalcy are often a little thin and sometimes out and out cramped. Certainly there are behaviors — some of them possessed by those suffering certain mental illnesses — that fall well outside of what might objectively be called appropriate or suitable to society, but then there are other behaviors labeled “not normal” presumably because the majority of people don’t engage in them. Therein lies an important distinction. There is a particular method by which filmmakers attempt to normalize characters with mental illness, and at first glance it might seem a little counter-intuitive, because the initial step in this method is almost always to trump up the symptoms of the mental illness in question, thus setting the patient further away from us and our world — alienizing them, so to speak. In this, it becomes increasingly easier for us to draw the line between us and them — which is probably strangely gratifying to a viewer, because it reinforces the idea that whatever our situation, there is at least a great gulf between our lives and the lives of those with mental illness. The second step is the actual normalizing. In this, a character who has been drooling or talking to himself or engaging in any number of socially inappropriate behaviors is somehow rescued from the depths of his mind — from his own apparently inferior world — and brought front and center to be accounted for as a normal human being. We vigorously cheer this part of the movie; it is, as we understand it, redemption. The truth of the matter, though, is that this cinematic dichotomy probably exists because it is troubling for us to think of mental health as occupying a continuum, which it most certainly does. It’s always much easier, of course, to understand the world in black and white — in this case, crazy and sane. But with many mental and neurological conditions, the difference between ill and not ill is a matter of point of view, and Hollywood is not infrequently guilty of giving short shrift to this complicated idea. In the pantheon of films about the mentally ill, there seems to be three Hollywood pictures residing above the rest: “Rain Man” (1989), “Awakenings” (1991) and “One Flew Over The Cuckoo’s Nest” (1975). These three films address the issues of mental illness in at once very similar and dissimilar fashions, and are all worthy of some examination. “Rain Man’s” eponymous character, Raymond Babbitt (played by Dustin Hoffman), is a textbook example of the exoticizing — the alienizing — of the mentally ill in movies. Raymond has autism; more specifically, he is an autistic savant, which is the name given to an individual with autism who also possesses extraordinary mental skills not generally exhibited by other people. Raymond exists, in fact, as a sort of composite of the autistic spectrum; his symptoms, which include hyper-sensitivity to sensory information, social ineptitude, obsession with habitual action and ritual, and a myriad of extraordinary savant-like skills, would most likely not occur simultaneously in a patient. Most clinicians would agree that the “truth” about autism, insofar as there is one, has been stretched some for dramatic effect. Some might say the truth has been stretched considerably. For instance, among his many traits (and skills), Raymond has an exceptional mathematical ability. It is true that some autistic savants do in fact have particular mathematical skills; however, these skills are generally along the lines of an ability to figure the multiples of seven ad infinitum. Ray has a much more well-rounded and pragmatic math skill, one that makes him more or less superhuman. He can figure all sorts of amazing calculations, square roots, cubes; apparently anything to do with numbers, he has mastered. In addition to these abilities, Ray has a seemingly flawless memory. He remembers arcane baseball card statistics, can count cards at 21 when playing with six decks, and at one point memorizes A through G of the Cincinnati White Pages in just a few hours. Raymond also exhibits a peculiar visual ability to glance at a pile of objects and ascertain their number. This trait is something we all have; it’s known as subitization and we can generally subitize around four things. That is, when we walk into a room in which four people are sitting, we know without counting that there are four people there. Raymond, though, subitizes (or, at least, appears to subitize) 246 toothpicks that have fallen on the floor. Whether or not this is possible is certainly up for debate, but — possible or not — it seems more importantly symptomatic of the movie’s attempt to place in Raymond all that can be abnormal in someone on the autistic spectrum. And what is the result of all of this in the film? If we think of the film’s basic instinct as one to bring Raymond and his brother Charlie together — to have them connect — by normalizing Raymond, then we can only understand the augmenting of Raymond’s condition as a means of making that connection all the more difficult. And then all the more rewarding when it does happen. 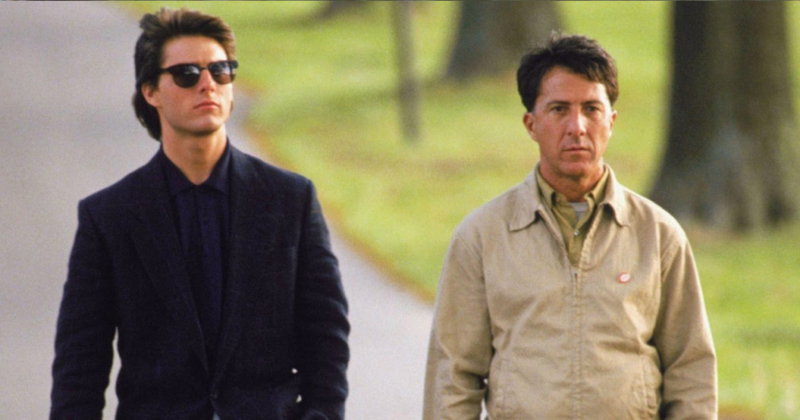 “Rain Man” is in some ways an odd example because the “connection” between these two men is only ever implied. The writers seem to know that because of the severity of Raymond’s condition, it would be just plain gratuitous to have Raymond respond in some “normal” fashion. But that does not stop them from insinuating at every turn that Raymond might understand in some normal way, that he might feel emotion or hurt or love in some way just like the rest of us. All the more spectacular because he is obviously so not like us to begin with. And we play the role of wishing him to succeed at being normal. “Awakenings,” based on celebrated neuroscience author Oliver Sacks’ case study of the same name (he also wrote the movie’s screenplay) proves to have similar impulses. When Dr. Sayers (played by Robin Williams and loosely based on Sacks himself) arrives at a Brooklyn Hospital in the early sixties, he notices that a great many of the patients suffer from a very similar catatonia. These patients, all victims of the 1920s “sleeping sickness” epidemic, have something called Post-Encephalitic Parkinson’s Disease. Dr. Sayers’ urge is to save the patients from their sleep. He has a hunch that a new drug, L-Dopa, then being used with some success on Parkinson’s Disease patients, might draw the patients out of their sleep. He gets the go-ahead to experiment with one patient, Leonard Lowe (played by Robert DeNiro). After increasing the dosage of the medication to unprecedented levels, Sayers gets Lowe to respond. Soon, Lowe is fully conscious and taking in the world around him once again after forty years away from it. Eventually, he’s even advising the backward and socially awkward Sayers in matters of love. That this film is based on a true story might be the most important feature about it, because the “truth” of the story (as experienced by Sacks during his time at this hospital) and the facts of the movie itself are interestingly skewed. To wit, Leonard Lowe and the other Post-Encephalitic Parkinson’s patients were never as comatose as the movie portrays them. In fact, though their lives were greatly affected by this condition, they were capable of a certain amount of lucidity everyday, and were not at all unable to connect with the world, as they are portrayed. It is interesting that Sacks — the actual doctor responsible for treating similar patients — would exaggerate the symptoms thus, and it seems a valuable window on the importance of dramatic effect in Hollywood. These issues of verisimilitude aside, what is perhaps most striking about “Awakenings” from a critical point of view is the physical risks Dr. Sayers is willing to subject his patients to in order to make them normal. There is no doubt that Sayers believes himself to be acting on the behalf of his patients, but it seems presumptuous to think that these people would want to risk their very lives — who, after all, is able to say what their inner lives are like or if they would want to change them? — so that they can re-enter the world as “normal” people. Perhaps the most famous film ever made on the mentally ill, “One Flew Over the Cuckoo’s Nest,” (based on Ken Kesey’s novel) though it shares plenty with “Rain Man” and “Awakenings,” digresses in some interesting ways from these ideas of normalcy. Arguably, one of the most moving scenes of “Cuckoo’s Nest” (out of many moving scenes) occurs when Nurse Ratched (Louise Fletcher) has denied Randle McMurphy (Jack Nicholson) and the rest of the men on the ward the privilege of watching the World Series on television. Just when it appears that McMurphy has been thoroughly defeated in his on-going struggle with the nurse, he stumbles across an idea that he rightly surmises will put the power back into his hands. He begins to imagine the baseball game on the television, calling out the plays, doing color commentary. Gradually, the men on the ward — for whose attention and devotion he and Nurse Ratched are dueling — wander back into the room. It doesn’t take them long to fall into his zany fiction. Soon, they are all sitting on the edge of their seats cheering at the blank screen as McMurphy creates play after play of the game. What is remarkable about this sequence of events is that it is a rare spot in a film about the mentally ill in which an supposedly sane person (McMurphy) willfully enters the world of the mentally ill. McMurphy, whom we are to assume is a thug beating a jail rap by feigning insanity, clearly prefers the charged world of un-normalcy he finds on the ward — perhaps because he relates to the men as an outsider. One might argue that he enters their world to save them, to perhaps pull them back to “reality,” but it seems that an equally strong argument might be made for him entering their world because it is a rich world and somehow legitimizes the lack of normalcy in his own world. In his struggle for the men, McMurphy seems to accommodate their differences and accept their eccentricities. He — and the movie, itself — seems more concerned with unleashing the parts of them that want to live than preparing them for a life they might never be suited for. It is a decidedly different view of mental illness than is generally put forth by Hollywood. Of course, in the end, Randall McMurphy has his own idea of what normal is — which involves promiscuity and plenty of booze — and eventually he attempts to impose that world on the men. It is telling that this world does not stick for the men and, in fact, proves to be McMurphy’s undoing, both as their leader and as a man. 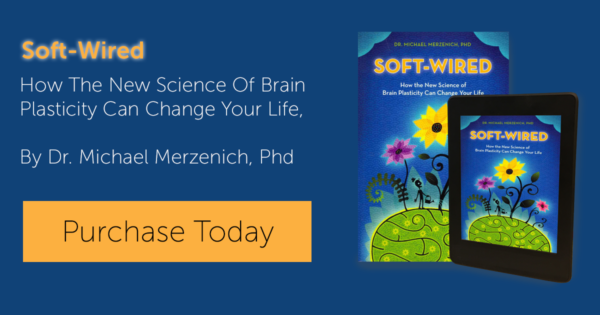 Mental illness is of course a complicated and not easily reducible matter; in fact, to speak of mental illness in one sweeping gesture does not at all do justice to the vast variations and levels of illnesses associated with the brain. And there is no question that each of the above movies intends to deal with the mentally ill in a compassionate manner; in many ways, these films succeed enormously in this task. But because our ideas about mental illness are so dependent on incomplete knowledge, because our ideas in this area have changed so sharply in the last half century — and are rapidly changing now — it seems important to think closely about where our opinions may be coming from. It is of course sticky business interpreting what these movies may or may not tell us about our own prejudices and foregone ideas — or whether the ideas are being fed to us or just being fed back to us, which is surely an important if altogether stickier distinction to make. The machine, after all, is big and powerful and, perhaps most frighteningly, perceptive. Hollywood generally knows what we like, what we think, and sometimes even what we’d like to think. So it is probably important for us to not only be aware of what truths are being stretched for our benefit, but also of what ideas are being endorsed or affirmed by the stretching of these truths. Children as young as four days old can distinguish the vowel sounds of the language in their natural environment from those of a foreign language.